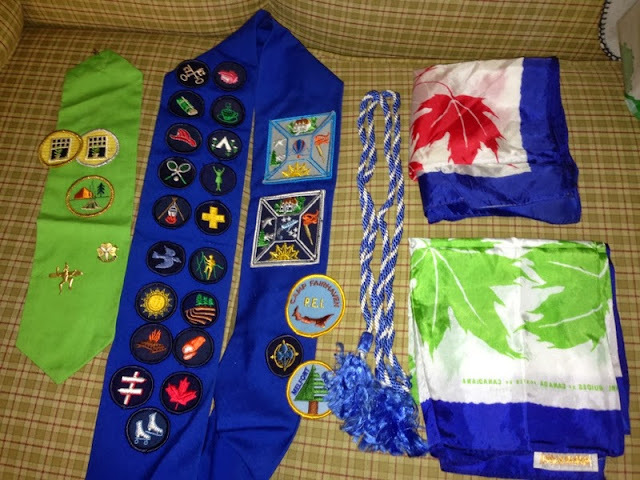 At my parents' house this weekend, I found my Guiding gear from the early 80s. I'm surprised to see the number of badges that haven't changed in 30 years! I also found a tin full of my swimming badges and Canada Fitness test badges. So I have a lot of work to do on my camp blanket now!